Marking the 50th anniversary of an icon of American industry, this book celebrates a half-century of Bobcat with brilliant images of these quintessentially American machines at work, including historical photographs and diagrams, alongside the full story of the only compact machines that have ever mattered. Often imitated but never equaled, the Bobcat skid-steer loader was born when some hardy souls in the Northern Plains needed a new way to get work done.? ?The pictures in these pages show how the Bobcat loader has been moving American industry ever since, joined over the years by Bobcat excavators and trenchers, utility trucks and more. 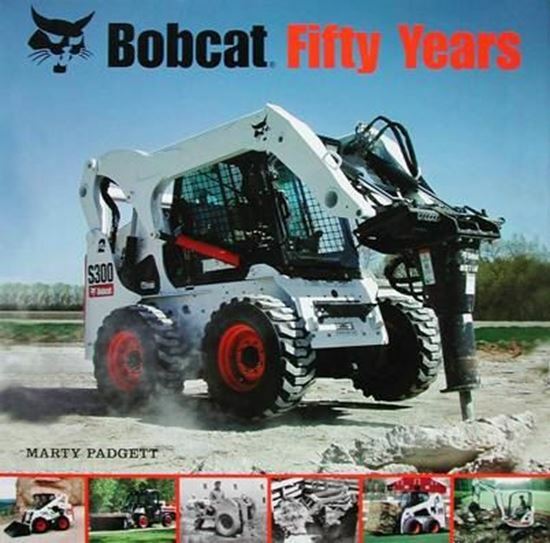 Bobcat Fifty Years chronicles the changes and innovations that have kept the company at the forefront of the nations compact machinery makers--from the invention of the Bob-Tach quick-change attachment system to the introduction of the Big Bob, the Mini-Bob, and the M-700, the first hydrostatic loader of its size. ?